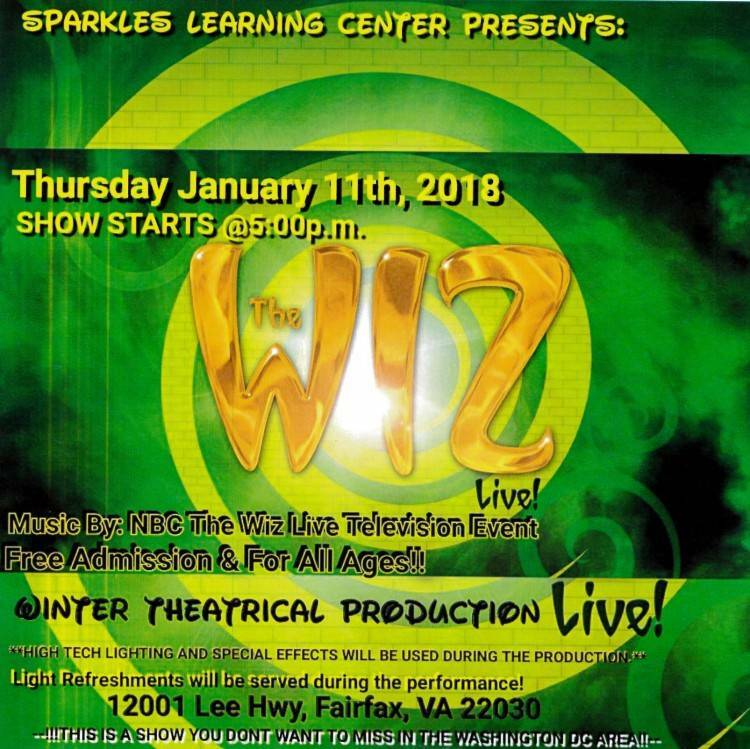 All are invited to enjoy a charming rendition of The Wiz, performed by the students in our school age program at Sparkles! in Fair Oaks. Light refreshments will be served. Free to attend! Please call 703.502.8100 with any questions.